ProVia Door is committed to making doors the professional way. 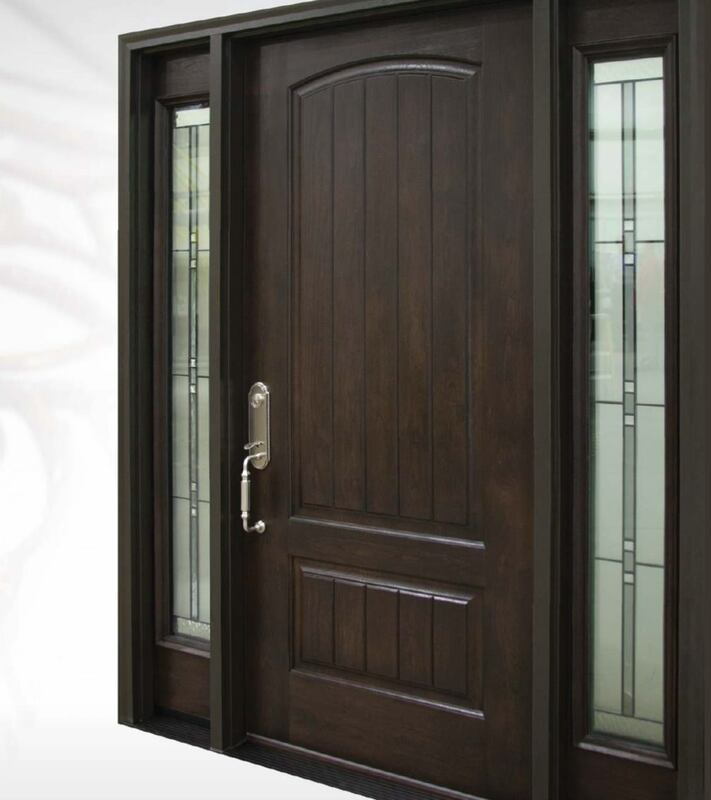 Our entry doors are energy efficient and built to the highest quality standards. This gives you a superior alternative to consumer-grade doors sold at home improvement retailers. Embarq by ProVia is the latest in energy-efficient entry door systems in the United States. Design and produced by the only door company to win the ENERGY STAR Partner of the Year Award for Door Manufacturing, this innovative fiberglass entry door offers the lowest ever recorded heat conduction measured for an entry door in the U.S., with a U-factor of 0.10. The Embarq is a 2.5″ thick entry door with extra fiberglass insulation as well as door seals to improve energy efficiency. The custom bottom sweep and insulation channel keep the elements at bay with improved insulating power. All ProVia entry doors are ENERGY STAR certified. These energy efficient doors will lower your utility bills, improve interior comfort, and increase your home’s value. ProVia’s doors have a well deserved reputation for being beautiful, secure, and durable. These exceptional doors are backed by a lifetime limited transferable warranty. With a tremendous variety of options, you can create a custom entry door made just for your home. Visit our design center and choose your preferred size, color, glass and hardware. The end result is a door will set your house apart for years to come. If you have a ProVia entry door, a ProVia storm door is exactly what you need protect your investment. With ProVia’s line of ENERGY STAR certified storm doors, you have 54 models to choose from. Each one of these models is available in a wide variety of colors with numerous glass, vent, and screen options to choose from. ProVia’s storm doors are made with 20% thicker aluminum than the average consumer-grade storm door. Besides protecting your entry door, these aesthetically pleasing doors further improve your home’s energy efficiency and interior comfort. Visit our design center to create a storm door that meets the unique configuration of your home’s entryway. PlyGem provides swinging and sliding patio doors. These doors are ENERGY STAR certified and built to the highest quality standards. These beautiful patio doors provide a full view while improving energy efficiency and interior comfort. PlyGem’s patio doors come in a variety of styles and colors. All the patio doors are fitted with a heavy-duty extruded sill that will not rot or warp. The sill also provides a thermal barrier to outside temperatures. All of PlyGem’s patio doors come with a top-hung screen that features BetterVue screen mesh. Screens and patio doors come with a limited lifetime warranty. Visit our design center to create a custom designed patio door that is made just for your home. Ready For A New Entry Door? Upgrade the curb appeal of your home with our wide array of styles. Our line of ProVia’s Signet Fiberglass Doors are a superior alternative to conventional fiberglass doors, with unrivaled strength and durability. Our line of Legacy Steel Doors byProVia are an durable, elegant, and energy efficient addition to your home.